The wireless external siren enhances security alarm systems by providing audible alerts for burglary, fire and tampering. 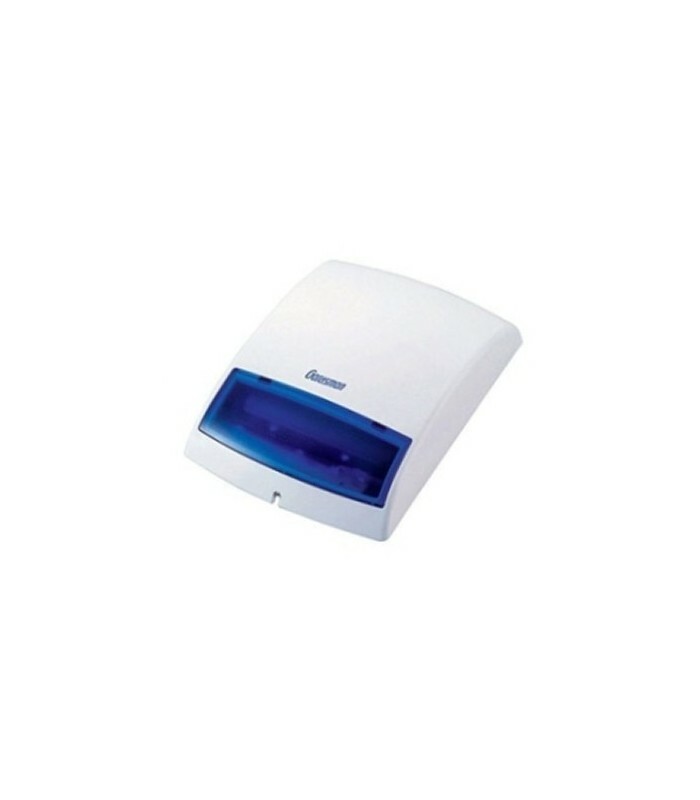 Suitable for commercial, industrial and residential locations, the siren includes a strong flashing strobe light signal to help identify the source of the alarm from a distance. System Status Indicator with siren beeps and strobe light.